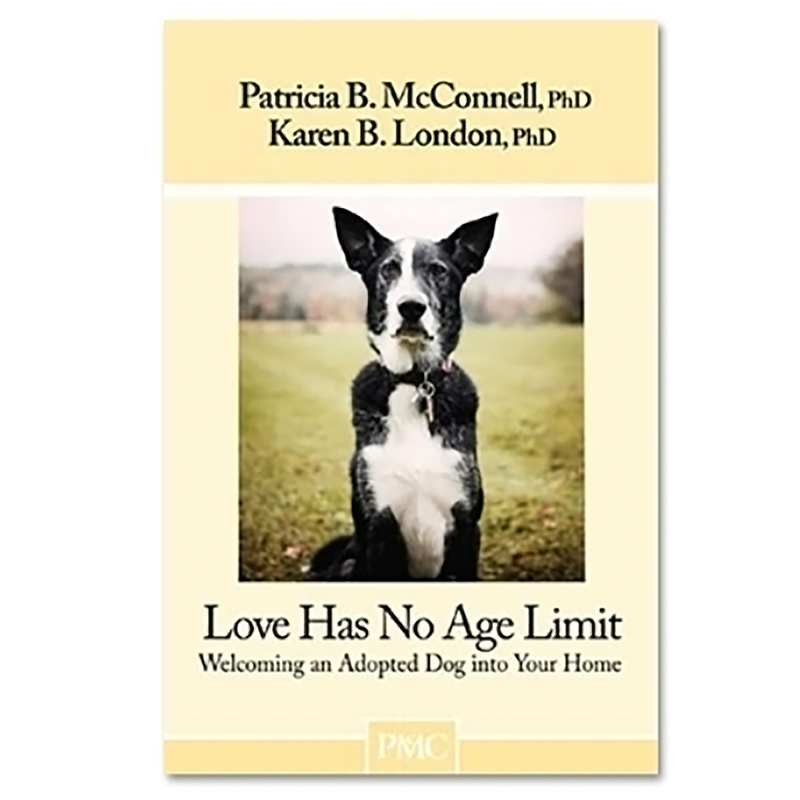 The latest from Patricia McConnell and Karen London, this book should be attached to the collar of every newly adopted dog, five months and older! 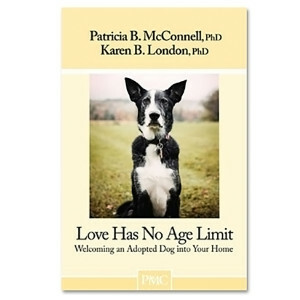 Love Has No Age Limit is affordable, accessible and destined to help more dogs find and stay in their forever homes. So here you are, right next to a new dog who just entered the house, and whose life history you know little or nothing about. Now what? How do you welcome an adult or adolescent dog into your home and incorporate this new individual into your family? This booklet is designed to help you ease the transition from ""new dog"" to ""family member"" by guiding you through the first steps of this new relationship. Patricia McConnell, Ph.D., CAAB is an Ethologist and Certified Applied Animal Behaviorist who has consulted with cat and dog lovers for over twenty-two years. She combines a thorough understanding of the science of behavior with years of practical, applied experience. Her nationally syndicated radio show, Calling All Pets, played in over 110 cities for fourteen years and her television show Petline played on Animal Planet for two and a half years. She is the behavior columnist for The Bark magazine (“the New Yorker of Dog Magazines”) and is Adjunct Professor in Zoology at the University of Wisconsin-Madison, teaching ""The Biology and Philosophy of Human/Animal Relationships."" Dr. McConnell is a much sought after speaker and seminar presenter, speaking to training organizations, veterinary conferences, academic meetings and animal shelters around the world about dog and cat behavior, and on science-based and humane solutions to serious behavioral problems. She is the author of thirteen books on training and behavioral problems, as well as the critically acclaimed books The Other End of the Leash (translated now into 14 languages), For the Love of a Dog and Tales of Two Species. Patricia lives with her Border Collie Willie, her cat Sushi and a very spoiled flock of sheep, and suffers from separation anxiety when she leaves them.